Noon Tuesday at WCNY’s radio station studios, 415 W. Fayette St., Syracuse. Haimovitz will be the featured guest on the “Live at Noon” radio show. 3 p.m.Tuesday at The River’s End Book Store, 19 W. Bridge St., Oswego. 5 p.m. Wednesday at Tyler Art Gallery in the Penfield Library on the Oswego campus. 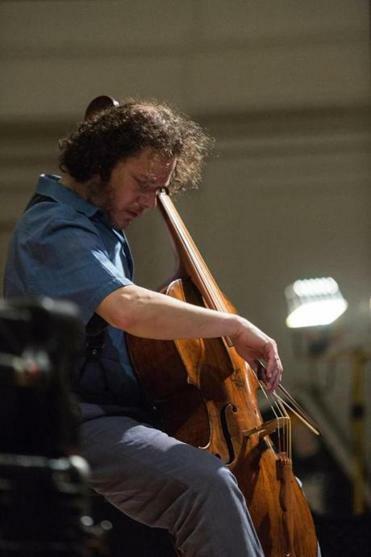 Haimovitz’s performance is in conjunction with the opening of the “Origins: Tradition and Innovation” art exhibition. 7:30 p.m. Wednesday at the college’s Sheldon Hall ballroom. For his final performance, Haimovitz will play the last three Bach suites and accompanying overtures. Tickets for this recital are $15, general, and $5, SUNY Oswego students. To purchase visit the SUNY Oswego box offices, go online or call 315-312-2141. Parking for the performance available in the lots across from and adjacent to Sheldon Hall.